The potential for orthodontic treatment to positively affect the perception of anterior dental appearance has been well documented. Furthermore, when orthognathic surgical procedures are integrated into comprehensive orthodontic treatment, the envelope of enhancement may be expanded beyond the dental esthetic zone to encompass the face as a whole. More recent approaches to specific orthodontic problems have opened new avenues for favorably altering both dental and facial appearance while avoiding surgical alteration of the maxillo-mandibular complex. Orthodontic temporary anchorage devices (TADs) provide a means to achieve difficult or otherwise impossible dental movements, and offer novel approaches to clinical problems for which excellent treatments outside of invasive surgical procedures were previously nonexistent. This lecture will explore the potential for enhancement of dentofacial appearance through orthodontic and orthopedic changes accomplished by leveraging TADs. 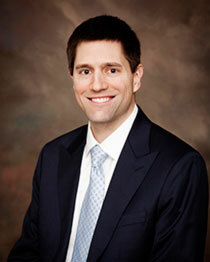 Dr. Heymann earned his DDS and MS in Orthodontics at the University of North Carolina School of Dentistry. He received the Kramer Award of excellence and was elected as an alumni member of Omicron Kappa Upsilon. He is the recipient of the American College of Dentists Leadership Award, and was a Thomas P. Hinman scholar. He has conducted clinical research in the use of temporary anchorage devices in orthodontics and novel treatment techniques for management of pre-adolescent Class III patients, and has authored multiple peer-reviewed publications. For his research endeavors he was recognized with the UNC Orthodontic Alumni Association Research Award, and was the recipient of Helen and BF Dewel Award as a co-author of the highest rated clinical research paper by the American Journal of Orthodontics and Dentofacial Orthopedics in 2012. Dr. Heymann is an editorial reviewer for multiple orthodontic and dental journals, is an adjunct assistant professor in the UNC Department of Orthodontics, and lectures nationally to orthodontic and dental audiences alike. He maintains a private orthodontic practice in Chapel Hill and Durham, NC.